Tour Pricing Funding Schools & Groups Blog New to Chess? Parents are selecting their kids activities with their eye on college admissions and career success, according to Hilary Levey Friedman’s Playing to Win: Raising Children in a Competitive Culture. This is particularly true for families raising girls. In it, she details the stunning divide between “girly girl” activities, like dance, and more aggressive activities, like chess and soccer. The chess parents, in particular, actively use chess as a way to teach their daughters that they are equal to boys. “She doesn’t have any ideas about gender limitations and I think that’s a good thing,” proclaimed one chess parent. Levey Friedman wonders aloud why girls are the distinct minority in kids chess, and draws the conclusion that the “aggression” turns girls off to the sport. However, soccer is an equally aggressive sport – and boasts three times the population of the Girl Scouts. So what gives? Kids chess programs are typically held at the girls own elementary school – the very environment in which girls are valued and accepted for being “nice”. In fact, their survival in school depends on being perceived as “nice”, as detailed in Odd Girl Out by Rachel Simmons. Learning to be aggressive with their own friends at school, through chess, is uncomfortable for girls at first. But eventually they accept it and learn to enjoy winning. The girls’ confidence starts to override the plague of “niceness”, which Simmons claims is to blame for the suffering of girls in their peer relationships and causes depression, anxiety, and worse (suicide). Great kids chess programs have girls. Sometimes as many as 50%. And those same programs have great coaches that deal with the “nice” issue head-on. It is not to be swept under the rug, but to be talked about as a group, where the girls can express their feelings. Last year, 90% of the girls I polled in our chess club expressed that they felt uncomfortable beating a female friend at chess. These same girls characterized themselves as “nice”. The other – and I believe bigger – issue is that girls don’t like being the only girl, as outlined in Louann Brizendine’s The Female Brain. A female lion will die without the acceptance of other female lions, and the human female brain is similar. Just last week, I received an email from a mom of a bright 3rd grader who wanted to join chess club…but discovered there are no other girls playing chess at her school, and therefore refuses to join. This same scenario is to blame for girls self-selecting themselves out of the lucrative engineering field. The recent study by Girl Scouts of America indicates that only 11% of Engineering jobs are held by women, though 74% of girls are interested in STEM fields of science, technology, math, and engineering. Nearly half of all girls say they would feel uncomfortable being the only girl in a group or a class, the study found. The simple solution: Girls-only chess classes. Let them compete against the boys during games, but allow them to learn with other girls. Give the girls their own coaches, just like soccer. Jill Keto is the co-founder of ZoomChess.com, published author, and engineer chick. You can find her on Jill Keto and Twitter. Jill has provided over 1000 chess kids after-school programs and tournaments. This entry was posted in Girls and Chess. Bookmark the permalink. Even if you don't visit our site regularly, you can get our posts delivered to your Email or RSS reader. Good work….. as a long term member of my local Chess Club I know how important it is to encourage juniors to play Chess. I did run a club at a local high school for a while but had to stop due to work commitments. For years we had no junior members and our youngest participant was over 30. Fortunately now we have 2 boys that are very strong players having recently qualified to play for England. In the 30+ years I have visited my club there have been no female players. I don’t really know why this is. Even at junior level there are many more boys playing chess. About time someone brought this to light. Good luck, I’ll follow your post with interest. Jill, I believe in characterizing chess players as being either weak or strong, rather than bad or good. And the way to get stronger is to play more chess. This is not a gender thing, it is an exercise thing, and it means equality for both sexes when based purely on mental strength. Susan Polgar has done wonders for girls in chess, and Jennifer Shahade doesn’t mind being seen as a female who is a strong chess player. I like your thoughts on this, as I have been encouraging girls to show up at my chess clubs. Last year at the high school we had a female president of the club, and I had her come over to the lower grades to show those girls what they could do. There was one time when I had several girls in the chess club, and they made it lively. I believe the path lies in the direction of showing the girls that they can be aggressive over the board, but leave it there when the game is done. This, too, crosses gender lines. But for girls, it also means they can beat another player and still feel nice about themselves. 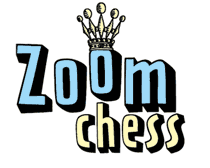 Copyright © ZoomChess Inc. All rights reserved. A sacrifice is best refuted by accepting it.